As trade cards waned in popularity, postcards took their place. In the early 1900’s postcards were the periods version of todays twitter. Mail was often delivered twice a day and not all families had telephones. For a one-cent stamp, it was the quickest, cheapest form of communication. 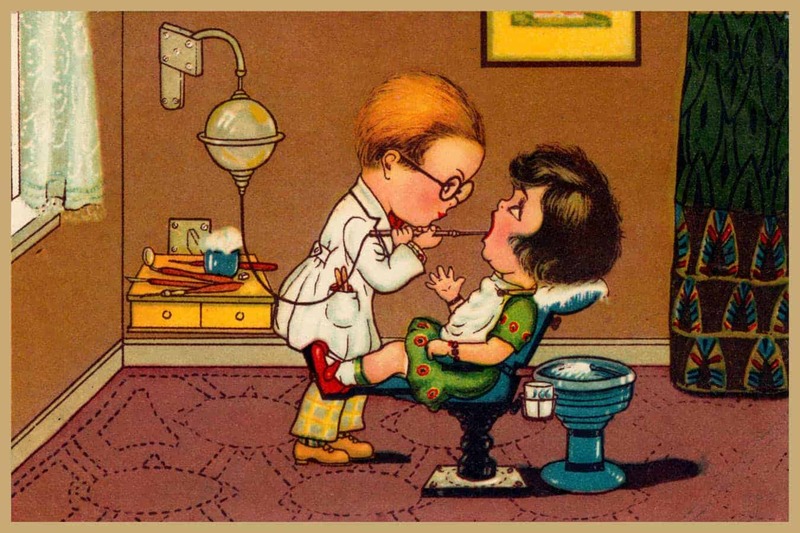 Hundreds of dental-themed cards were designed with most selling today for under ten dollars. Rare cards (especially European) can go for hundreds of dollars. Pictured above is a German post card from the 1920’s.